China Transfer Program Coordinator Cathy Hu traveled to China in December 2016 to meet with existing and new Transfer Program partners. 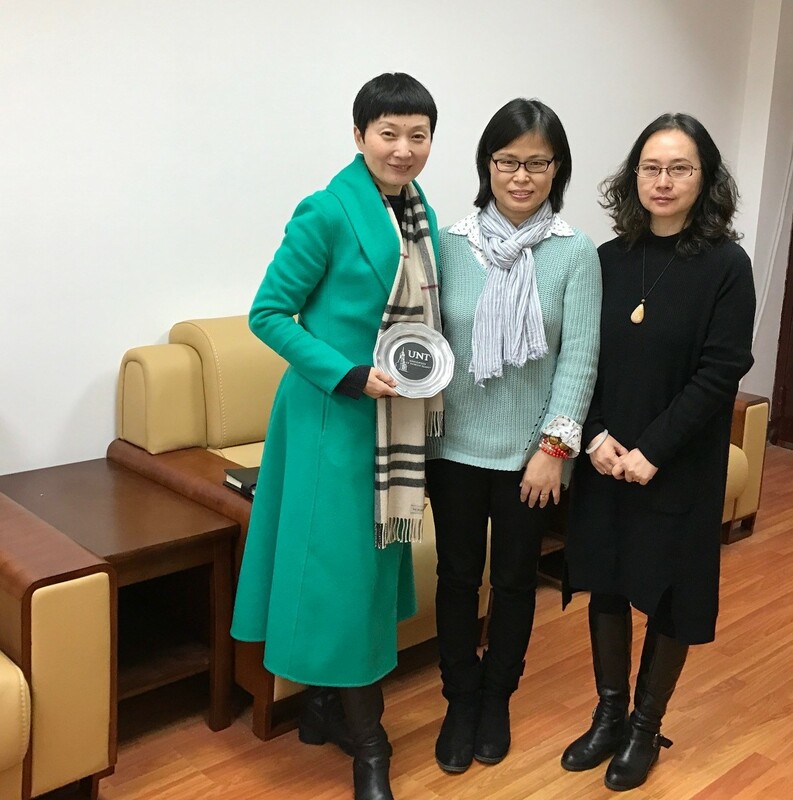 She visited four universities including Nanjing Tech University, Nanjing Forestry University, Yangzhou University and Nanjing Normal University. 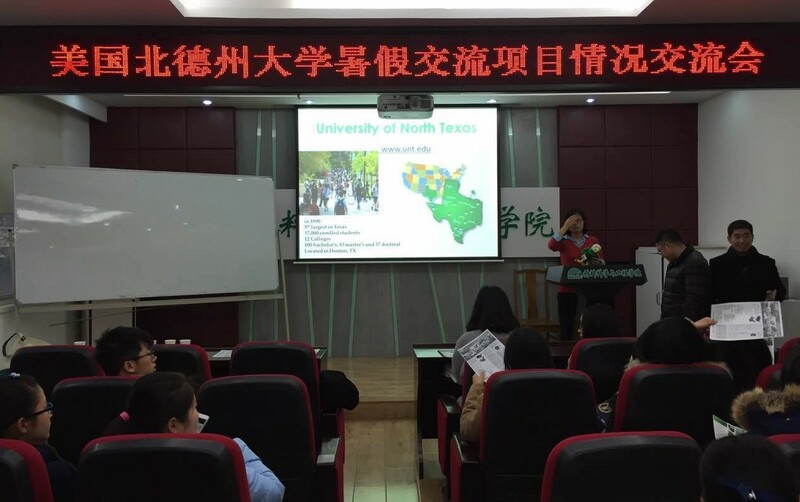 Discussions were held around building a UNT-China International Education Center, developing an Experimental Class program in Mechanical and Energy Engineering, welcoming students to UNT's Intenstive Englsih Language Institute, and creating an additional Experimental Class program in hopitality and tourism. Overall it was a productive and worthwhile visit and Ms. Hu looks forward to strengthening existing relationships with China while establishing new collaborations with interested parties in higher education.